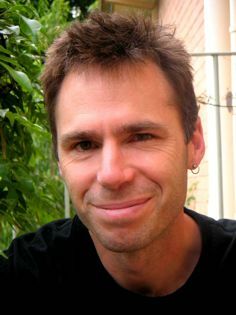 Paul Sunnucks is a Professor in the School of Biological Sciences at Monash University, Melbourne, Australia. He runs the Persistence and Adaptation Research Team, which is concerned mainly with evolutionary adaptation and population processes in wildlife, and the incorporation of evolutionary processes into conservation biology. He has particular interest in applying evolutionary approaches to inform wildlife management of fragmented populations. Accordingly, his research underpins his strong interactions with wildlife management agencies, as well as teaching in ecology and conservation. Paul studied Zoology at Oxford for his BA (Hons). A subsequent PhD at University College, London exposed him to population genetics, and led to appointment to one of the first conservation genetics groups, at the Institute of Zoology in London. That presented the opportunity to engage in the emerging field of molecular ecology. Subsequent postdoctoral positions and tenured academic positions allowed him to research diverse wildlife systems including invertebrates, mammals, birds, reptiles and fish. His current aquatic biology interests include invertebrate and fish species in Australian arid zone freshwaters, and threatened freshwater fish in eastern Australia, embracing the ecological genomics revolution.